Busy busy weekend, getting everything together and ready for the big day! Monday was a national holiday here in Japan and thank goodness for that or else I would have been crying. Anyways, met up early with some Korean fans from the Heartstrings DC Gallery. They had some food gifts for give to Shin Hye and Yong Hwa and the staff. Before the show began, Manager Jun along with someone from Yong Hwa's team came down to get the things. Because there were only three of them getting the things, we helped and took them backstage. There were so many people there. The day combined, over 10000 people in attendance! I attended the night fan meeting. The curtains pulled up and who should it be but our lovely Park Shin Hye, right behind her gayageum wearing a black high low dress and waving hair. She was absolutely beautiful. 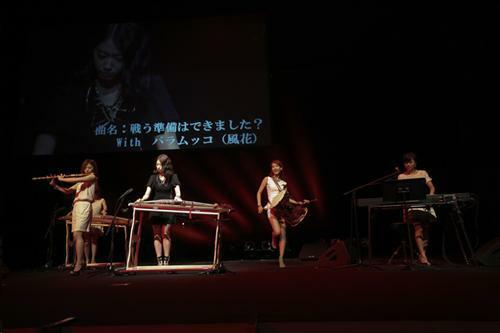 She played the gayageum with her band from "Heartstrings," the "Windflowers." They were absolutely amazing. Together they rocked a fusion gayageum instrumental of "Arirang" and "Are you read to fight?" It was crazy good. 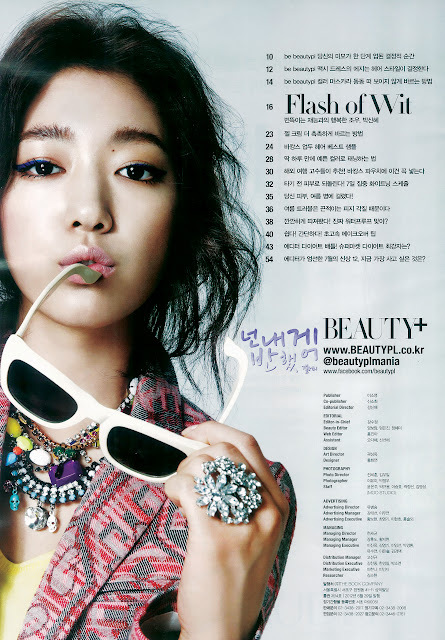 And Shin Hye looked like she's been on the gayageum all her life! This girl certainly worked hard in the month that was allotted her for this fanmeeting! After finishing the instrumental solo, Shin Hye took the mic and with her "Windflowers" still playing, she sang "So Give Me a Smile." It was so nice. At this point, I was about to cry first because I miss her and second, it made me nostalgic. 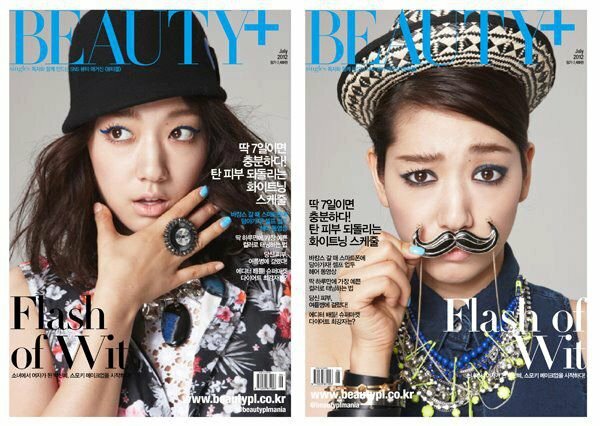 Needless to say, Shin Hye rocked it out. I was so certain that Yong Hwa was going to come out and sang his part with her, but it wasn't to be, which was fine because that meant more Shin Hye time! After ending her solo performances, Yong Hwa came out to play his solo instrumental, "Father and Me." It was really beautiful. And then he sang "Because I Miss you." 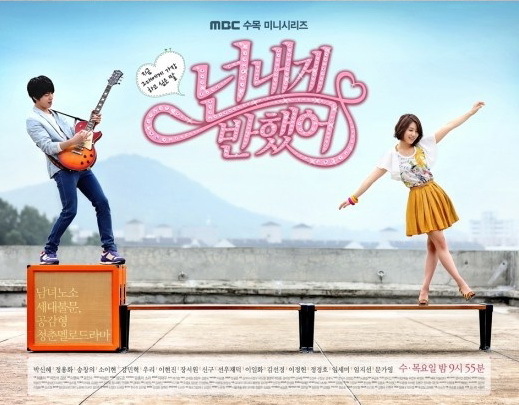 Oh "Heartstrings," how I miss you. He was very handsome in his black skinny jeans and light blue blazer. He sang "Because I Miss You" with so much passion it was amazing. When his part was over, then out came the MC. For the rest of the time, they played a dice game where they would be asked a question according to what they rolled. They were to pick up some questions. Yong Hwa ①Frankly speaking, is there any parts that you would take different actions (behave differently) from your role? 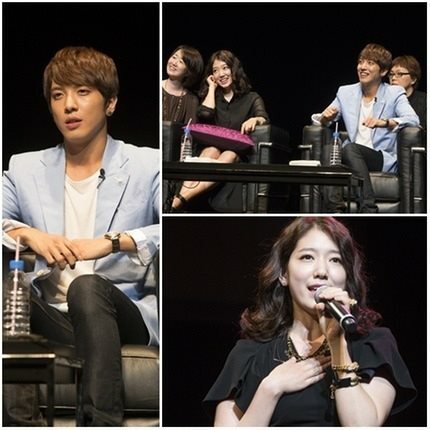 YH said that he would be nicer and friendlier to the professor (Kim Suk Hyun). He said “it’s because I get along with anyone and am gentle”. 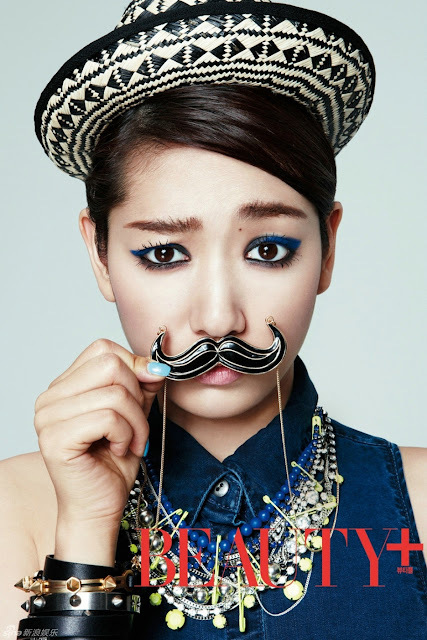 Then Shin Hye said “What? He is gentle… but…” YH “What?” SH “….gentle” . 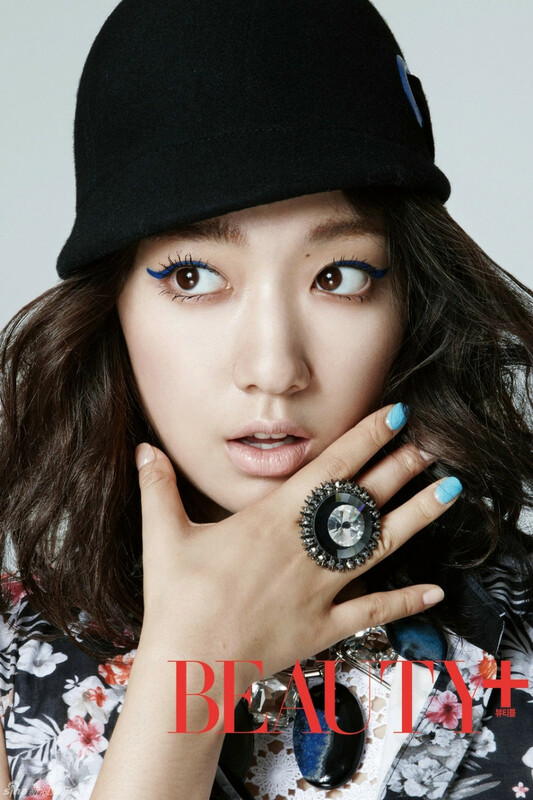 Shin Hye②What are the secrets of each other? SH③When and in what parts do you think Gyu Won is an attractive woman? When SH was considering, MC asked YH how he thought. Then YH said “ Gyu Won was always attractive. Her personality is very positive, and that is my type”. SH said “I also think that her positive personality is attractive. And she was also attractive in the scene when Gyu Won couldn’t understand Shin’s mind and got confused, she brought a cup of coffee to Shin and tried to make sure his mind”. YH③What is the scene which you think of yourself (the role itself) cool? YH didn’t know what to answer and asked SH how she thought. Then SH chose the kiss scene between Shin and the professor Jung Yoon Soo. YH chose the scene in which Shin pretended as if it didn’t hurt after he got injured because of Gyu Won. SH③Now I can say I am sorry. Is there anything that you want to apologize to him? SH “once I begin to laugh, I can’t stop laughing. And when I’m laughing I take a playful swipe at people around me. I often slapped at him so hard that my handprints were on him.lol” Then she said to YH bowing “I am sorry (in Japanese)”. She was so cute! But YH said “It’s because I made you laugh, so I am sorry”. Then both of them bowed and said “I’m sorry (in Japanese)”. I was very surprised from watching Yong Hwa because he really had a sense of humor. I never knew. 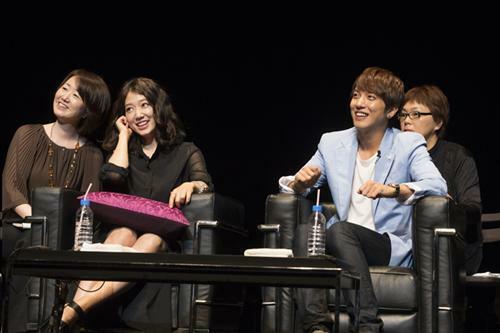 But it was real fun watching Shin Hye and Yong Hwa interact on stage. They have such a good camaraderie between them that it's obvious to see how good of friends they are. They were always relying on each other to help each other out on the answers. It was really great to see that since they haven't seen each other in such a long time. After the question/answer session, we watched and guessed the best three scenes picked by the fans. At number three was Lee Shin giving Lee Kyu Won a back hug, number two was the kiss scene in the club and at number one was the when Lee Shin told Lee Kyu Won to hold out her hand and he took hers. 1st The scene when Shin made a wish on the shooting star and told Gyu Won that he loves her. 2nd The scene Shin kissed Gyu Won on the stage of Catharsis. 3rd Shin gave Gyu won a back hug in the university. They told interesting anecdotes about each scene. SH thought the scene when they hid from the rain would be 3rd. When they were shooting the MT confession scene, SH thought “please give me light too, lighting staff!” Her face was actually dark… YH made many NGs, because the line was very embarrassing. They were thinking so hard, and there was a silence for a while. Lol MC said “this question seemed to be so difficult. Lol” YH finally answered “if you put milk into ramen, your face won’t get swollen next day”. The answer was quite surprising. But SH also said that she had watched it on TV. YH spoke warmly that he does it and his face doesn’t get swollen. So it is proven by him. But after that, he said “I kept eating ramen, milk, ramen, milk, ramen, milk and got fat!” Lol! It was time for reeanctment with six lucky fans. 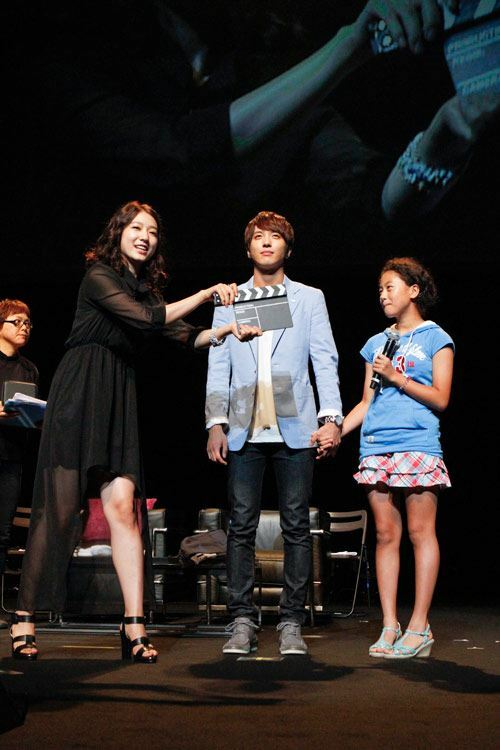 Yong Hwa randomly drawn names from a box, girls, and Shin Hye picked 3 guys. The six people picked where given gifts at the end. And of course being me, I wasn't picked. Sad. After the reenactment, it was time for presents. From Shin Hye, two people will win her bracelet and necklace. From Yong Hwa, his blazer from Heartstrings and a pin that he always wears. And of course, being me again, I didn't win anything. It ended too quickly but not before we took a group photo! Shin Hye and Yong Hwa ended the show with a duet of "You've Fallen For me." It was good and every got up and danced and sang to it. And just like that, it was over. I wished it was a bit longer. But it was good fun to see both of them again and seeing them interact with each other. Shin Hye was absolutely amazing. She has such a cute talking voice and always so sincere! I'm going to miss this girl. We would like to thank everyone who had donated for this fanmeeting. Because of the amount we've received, the rest that we didn't spend will be given over to our next project, in support of Shin Hye's new movie! And as we promised, the winners! Everyone who donated will be sent a handphone cleaner. Thank you everyone for your donation! 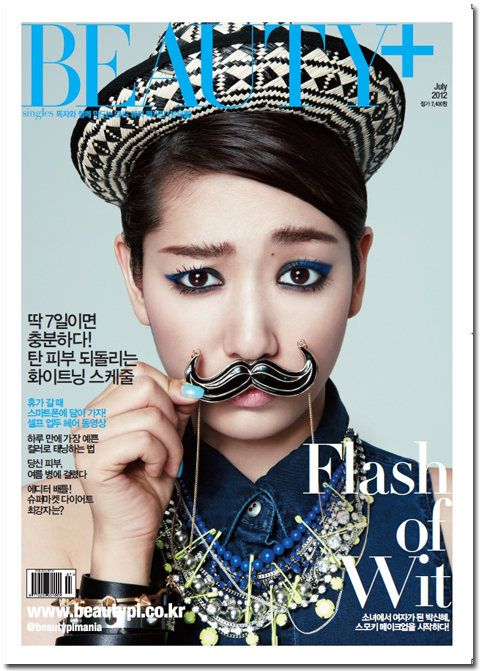 Becoming a ghost, Park Shin Hye is cute! According to 4HIM Entertainment, Park Shin Hye's "Don't Worry, I'm a Ghost" drama special will be broadcast on the 15th of this month on KBS. Park Shin Hye plays a lovely ghost Yeon Wha across Bong Tae Gyu's Moon Ki. The story is about Moon Ki who finds himself waking up in a hospital with no memory of his past. There he sees Yeon Wha and the two fall in love with each other. The stills released are that of Shin Hye's Yeon Wha riding on a scooter behind Mungi. "Don't Worry, I'm a Ghost" airs at 11:45pm on July 15th on KBS.